LONDON, 2017-Oct-03 — /Travel PR News/ — World Travel Awards has confirmed Nikki Beach Resort & Spa in the beautiful region of Porto Heli, Greece, will host the Europe Gala Ceremony 2018. The prestigious event will take place on June 29th, welcoming hundreds of industry leaders from across the continent to the one-of-a-kind hotel. World Travel Awards President & Founder, Graham Cooke, said: “It will be an honour for World Travel Awards to return to Greece, one of the most enduring and desirable tourism destinations in Europe. Nikki Beach Resort & Spa spans 8,000 square meters and includes 66 state-of-the-art hotel rooms and suites. 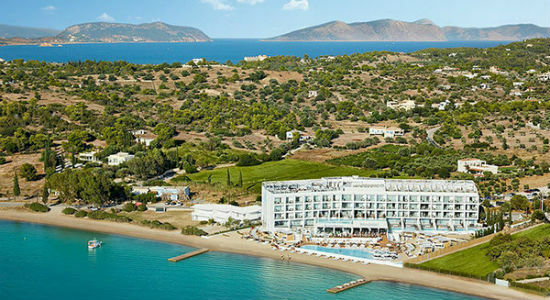 Also on offer at the Porto Heli location are two restaurants, the brand’s world-renowned Beach Club and the Nikki Spa. Originally built in the 1970s, the building has been completely transformed into a glamorous boutique resort and is the area’s only seafront hotel offering unobstructed panoramic views of the glistening Aegean Sea. Panos Paleiologos, president and founder, HotelBrain, management company of Niki Beach Resort & Spa, said: “HotelBrain Niki Beach Resort & Spa is delighted to host the World Travel Awards Europe Gala Ceremony 2018 in one of the most beautiful hotels, Nikki Beach in Porto Heli, and introduce this beautiful part of Greece to high level tourism professionals from around the world. Based on the visions of Jack Penrod, Nikki Beach Resort & Spa was reconverted by Gasterelia Design in association with Athens based Arch Group and was renovated using Mediterranean elements fused with high-end design. For more information about World Travel Awards, please visit the official website, www.worldtravelawards.com. This entry was posted in Beach Holidays, Hotels, Resorts, Travel, Travel Awards and tagged Europe Gala Ceremony 2018, Graham Cooke, Nikki Beach Resort & Spa, World Travel Awards. Bookmark the permalink.